There's no reason not to expect the utmost quality from the new lens, as previous offerings in the Touit line have been great, including the 12mm f/2.8 and 32mm f/1.8 lenses that debuted last year. 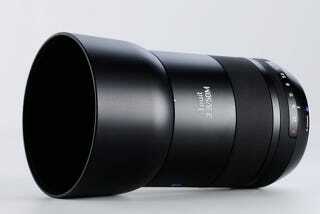 As with most Zeiss lenses, the 50mm f/2.8 macro will not be cheap at a cool $1000. It might be worth it as an ultra-sharp portrait lens, with a full-frame equivalent focal length of about 75mm, and 1:1 macro magnification for some added some versatility. See some full-resolution image samples here on Flickr.